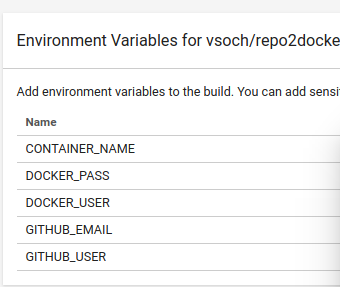 Want to be notified of new releases in vsoch/repo2docker-r? environement, runtime.txt file, and shiny app! This is a continuous build template based on the R binder example, meaning that it shows how you can install R alongside Python (meaning Jupyter notebooks!) and then deploy a container automatically using Docker Hub. The container also has RStudio and Shiny. Note that to start an rstudio session, you should go to new --> Rstudio. And then you get rstudio! Boum! The build->test->deploy setup will have integration for a containershare registry. In a nutshell, when you add the configuration files here to your repository and connect to continuous integration, you will get a container, Github pages to serve metadata with complete manifest and inspection of your containers. It's a completely free, transparent, and open source way to practice reproducible science. u - The runtime.txt file must be formatted as follows: r-<YYYY>-<MM>-<DD> where YYYY-MM-DD is a snapshot at MRAN that will be used for installing libraries. The install.R (optional) will be executed during build, and can be used to install libraries. Both RStudio and IRKernel are installed by default, so you can use either the Jupyter notebook interface or the RStudio interface. This repository also contains an example of a Shiny app. First, fork the repo2docker-r Github repository to your account, and clone the branch. Replace this value with the fingerprint from your machine user (note that I'm not sure this is completely necessary, but I've been doing it! If you try this and don't need this step, please open an issue to let me know so I can update these instructions! ).